to be used as either prep for the midnight showing nap or to cover your eyes in those particularly horrible scenes cough cough Jar Jar that may come up. Happy Viewing all and sorry for the weirdness of the pictures as I had to take them myself and it is hard to take a picture when you can not see where your camera is. Starting across the top of the mask sc in each stitch around doing 2 sc in the corners to turn all the way around. When you get to the first side of the mask sc in the first 5 then chain a length that fits snugly around your head adding an extra 4 chains when you have reached the desired length. Dc from the forth chain from the hook till the end of row. The next part gets a bit tricky and if you choose not to attach it this way that is fine you can just skip 2 and continue down the other side. For the stronger attachment of the strap do as follows. 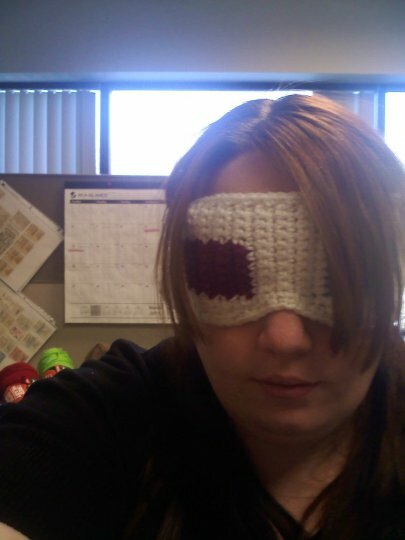 Chain 3 at the end of your double crochet band then sc through both the side of the mask and the chain that you just made for 3 stitches then continue on to finish the side. Continue on straight till you reach the other side corner of the mask at this point sc up 5 till you reach the point where you will attach the other side of the strap. If not you will want to ss in the next 2 stitches and sc through the last stitch of the strap and continue on to finish the sc border. Once completed finish off and weave in the ends. 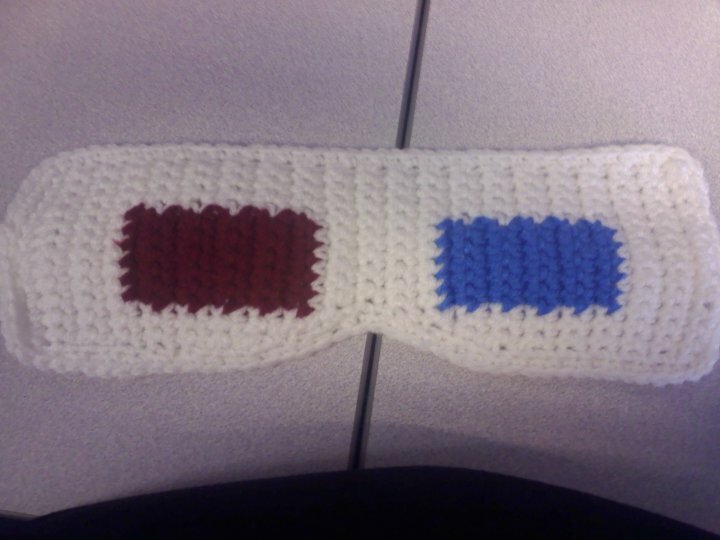 Here is a copy in PDF (3d Glasses sleep mask) if you would rather have it in that format. Enjoy and please link the pattern if you make it I would love to see what they look like. 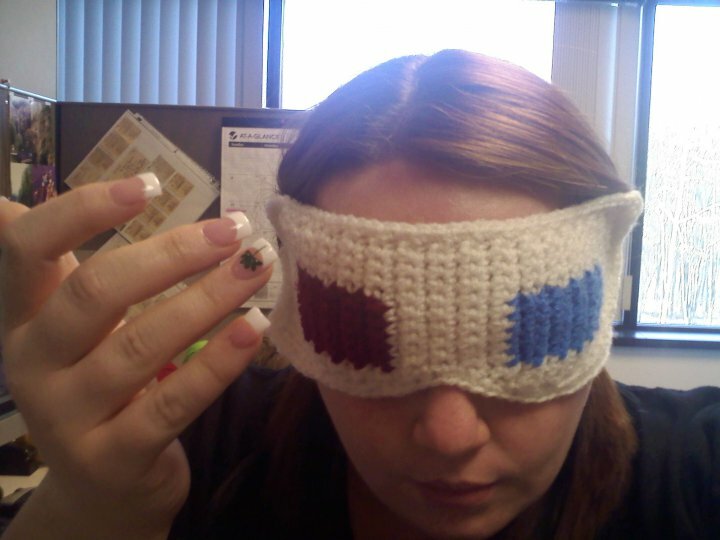 This entry was posted in Free Pattern, Nerd Wars, patterns, raverly. Bookmark the permalink.